An increasing number of people are using CBD to quit smoking or recover from other issues such as opioid addiction. 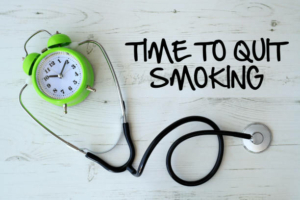 The first scientific evidence to indicate the effectiveness of CBD in helping people to quit smoking was discovered five years ago and has since been confirmed by more recent studies. Smoking cigarettes kills more than 480,000 Americans each year. According to the CDC (Centers for Disease Control and prevention), more than 41,000 of these deaths are from exposure to secondhand smoke. Smoking is a habit that all too many people would like to get rid of. However, tobacco is extremely addictive. According to Dr. Sanjay Gupta tobacco smokers are 3 times as likely to become addicted to cigarettes compared to pot users to cannabis. In 2016, an estimated 15.5% (37.8 million) of U.S. adults were cigarette smokers. Dr. Sanjay Gupta claims that tobacco is even more addictive than cocaine and heroin. How many Attempts before you Stop Smoking? When you smoke tobacco your internal chemical balances are disturbed. The smoke that you usually inhale contains thousands of toxins and pollutants and is highly carcinogenic (causes cancer). There are plenty of reasons to want to stop smoking. Now, why is it so difficult? Why do people so often relapse? There are several reasons for that, such as withdrawal symptoms. Cannabidiol helps with most of them, besides reducing the craving to smoke. The obvious and well-known withdrawal symptoms when you stop cold turkey are. Some of the most common and unpleasant nicotine withdrawal symptoms are nausea and bowel cramps. Diarrhea and constipation are both possible symptoms of nicotine withdrawal. Cannabidiol helps with intestinal and digestive problems, like nausea and diarrhea. It is often used to treat cramps and spasms for people with MS, autism and other conditions. 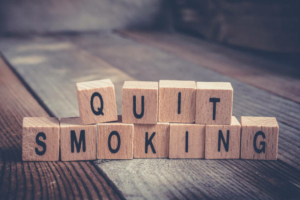 The symptoms that are probably more awkward for your loved ones when you stop smoking are the bad moods and the short-fuse that can develop during the withdrawal period. You may get mood swings and waves of irritation, and it is not uncommon for people to develop depression when quitting tobacco. Fortunately, one of the best-known properties of cannabidiol is its mood balancing and elevation effect. 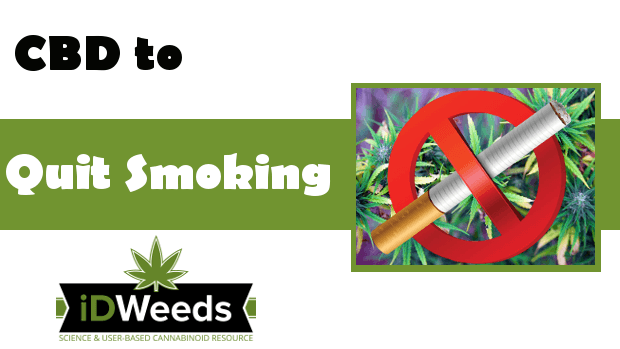 This makes cannabidiol an ideal supplement for the beginning of your tobacco-free journey. Tobacco is an appetite suppressant, and a common withdrawal syndrome is the munchies. This is a normal but temporary effect that lasts only for the first few weeks. For some people, however, this symptom can be strong enough to gain a substantial amount of weight. Unwanted weight gain is one of the many reasons that people relapse, which is another reason that cannabidiol is an invaluable resource for quitting smoking. Cannabidiol has appetite-suppressant properties and speeds up your metabolism, causing the body to burn more energy and transfer less food into fat storage. Although not quite as common as gut cramps, some quitters suffer from painful cramps in their leg muscles as a result of tobacco withdrawal. As with bowel cramps, CBD provides relief of this unpleasant symptom. Scientists have done few studies in this area, but those studies that have been done are quite interesting. The first study we could find was done in 2010 by Dr. Morgan from the Clinical Psychopharmacology Unit, Research Department of Clinical, Health and Educational Psychology, University College London and other colleagues. The study consisted of 94 cannabis using participants that visited the research lab twice, seven days apart. One time they were sober and the other time intoxicated from smoking their own cannabis. Samples of saliva and cannabis were taken and analyzed. The results showed that participants, when intoxicated, from smoking high CBD/THC strains showed less attentional bias to drug and food cues than those smoking high THC/CBD strains. Those smoking high CBD/THC strains also showed less cannabis craving on both days. Researchers from the same Unit of the University College Londen, again led by Dr. Morgan conducted a pilot study in 2013. They selected 24 smokers who wished to stop smoking. Of the 24 participants, 12 received a CBD inhaler while the others received a placebo inhaler. For a one-week period, each time the participants felt a craving to smoke they were instructed to use the inhaler. The placebo inhaler users did not show a reduction in smoked cigarettes, while the CBD users smoked 40% less during that week. In may 2018, The Society for the Study of Addiction published a CBD-Tobacco withdrawal related report researched by scientists from the Psychopharmacology Unit of the University College in London. They found that cannabidiol reduced sudden craving when participants were confronted with cigarettes- or related images. In medical terms, this is called attentional bias. 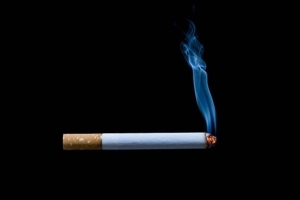 All thirty participants refrained from smoking for 12 hours before the test. At the time of the study, some participants consumed 800 mg of CBD through the digestive system, while others received a placebo. The researchers then showed both groups two kinds of images tobacco-related images and non-tobacco-related images. This small but promising test showed that those who took cannabidiol found cigarette-related images less appealing, they showed no cravings. 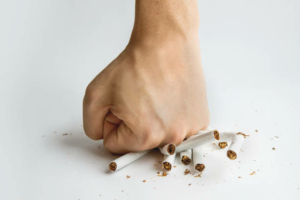 NRT’s (Nicotine Replacement Therapies) are medications that doctors prescribe to people that smoke more than a pack a day when they want to stop smoking. They contain a minimal amount of nicotine to satisfy the smoker’s craving. However, they do not do anything for the withdrawal symptoms. This is the main difference between CBD and NRT’s. Cannabidiol both reduces cravings and mitigates withdrawal effects. In addition, NRT’s have, some unpleasant side effects, while CBD has virtually none. There are studies that try to down-play NRT side effects by stating that the positive effects outweigh the side effects, but that doesn’t eliminate the side effects. Nausea, Headaches, Sleeping Problems, and Dizziness are but a few side effects of the most popular NRT’s. On the other hand, cannabidiol will most likely not even result in a dry mouth (the most common side effect) at the dosage levels required to quit smoking. Regular and consistent usage of cannabidiol improves its effectiveness, therefore a one-time dosage of 800mg CBD, like in the 2018 clinical trial, does not make much sense. The ad-hoc method used in the 2013 pilot study is probably a lot more effective. When you vape one or two puffs each time you crave for a cigarette, you mimic this successful test and should smoke less and less until you can stop completely. You can also take 15 to 20 milligrams CBD sublingually three times daily. This method not only takes care of cravings but also mitigates nicotine withdrawal symptoms. This last method is obviously better for strong smokers. We have carefully collected CBD testimonials for this particular addiction to serve as proof and inspiration to others. Do not hesitate to record your own experience and share it with us so we can add it to this list and help thousands of patients more. 2018/05 – Cannabidiol reverses attentional bias to cigarette cues in a human experimental model of tobacco withdrawal. 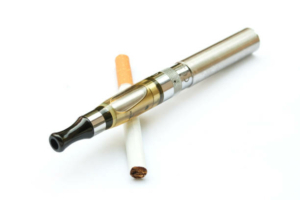 2018/09 – Cannabidiol reduces cigarette consumption in tobacco smokers: preliminary findings. 2017/12 – Cannabinoid modulation of fear extinction brain circuits: a novel target to advance anxiety treatment.